One of the most interesting space & scientific tools is the discovery of spectral lines and spectroscopy. Why is it so interesting? 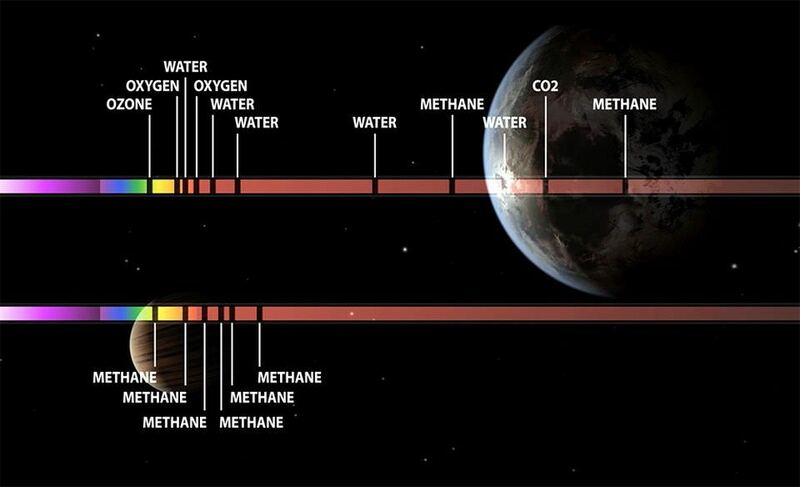 Well, soon using instruments on the James Webb Space Telescope, we can use spectroscopy to know what is the elemental composition of far away exoplanet atmospheres! That means we could use these new telescope instruments and findings to scout out new habitable world locations or even discover extraterrestrial life forms. But how? What is Spectroscopy? 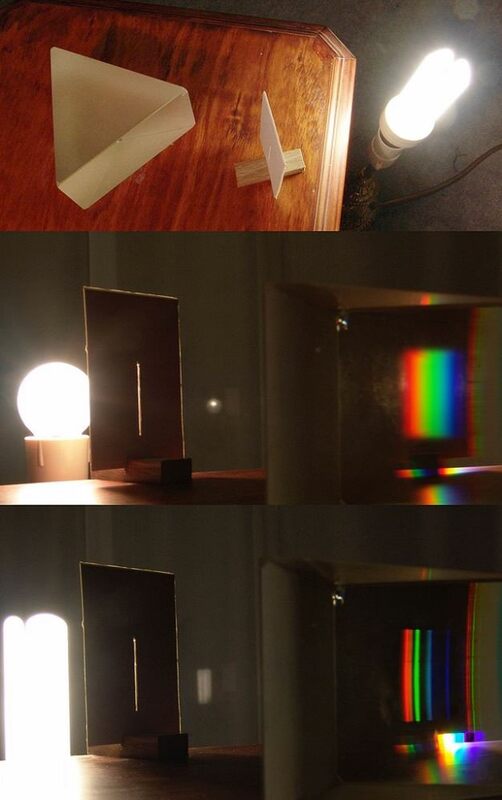 A very basic spectroscope made from a slit in cardboard and a prism. Even a simple instrument like this reveals a clear difference in the visible spectrum of an incandescent lamp and an arc-discharge–based low-energy-consumption lamp. You can clearly see the difference in the colored lines between an incandescent bulb and a fluorescent one. This implies a clear visual difference between the bulbs. One major difference between these two bulbs is what gas is inside the bulb. But how does it work? I'll get into the details below, but let's first consider one major significance of this discovery. When extrasolar planets pass in front of distant stars, light going through the atmosphere reaches our new spectroscope, revealing "spectral lines". These spectral lines can actually tell us what elements are in the gas, in fact this is how we discovered that there was helium in our own Sun! 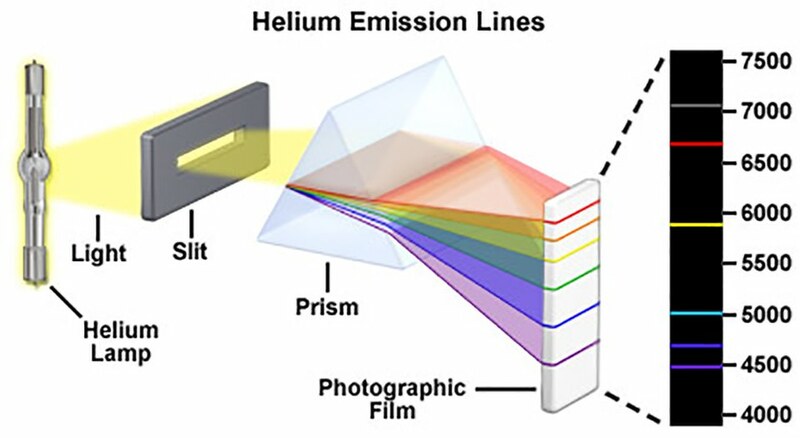 “Helium” comes from the Greek word for SUN (helios) Discovered in 1868 by French astronomer Jules Janssen while viewing a solar eclipse through a prism, a bright yellow spectral line was seen. 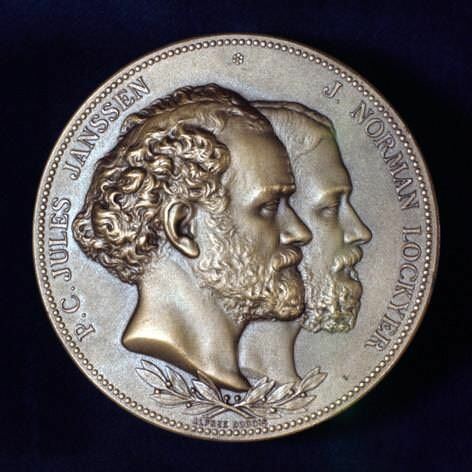 Though Helium was discovered in 1868 using a “spectrohelioscope”, the discovery was doubted until Helium was LATER finally found on Earth in 1895! 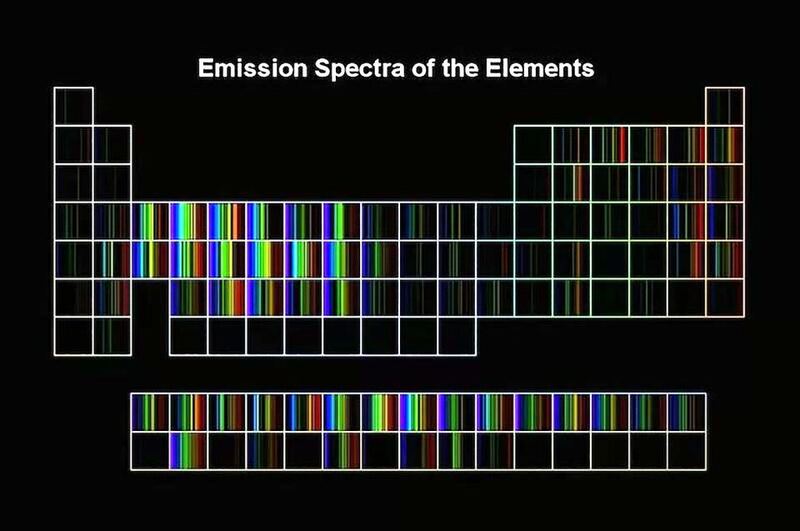 Spectral “fingerprint” - Emission Spectra. 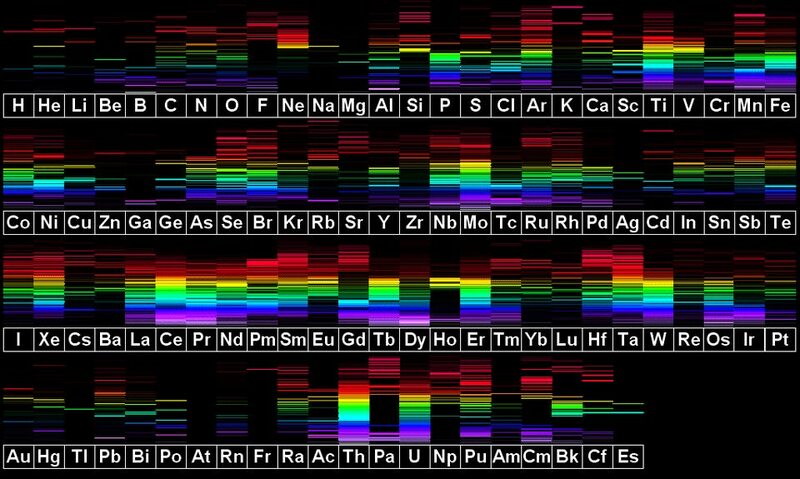 That was Helium, but every element on the periodic table has a unique spectral “fingerprint” emission spectra. The visible spectrum is the "rainbow" part of the visible wavelengths in the Electromagnetic Spectrum, the new instruments on the James Webb Space Telescope will include infrared. (NIRSpec & co) on this image below Infrared is to the left of the visible "rainbow" part of the electromagnetic spectrum. Each line corresponds to a specific frequency of light, which corresponds to a specific photon energy, which can help identify various elements. 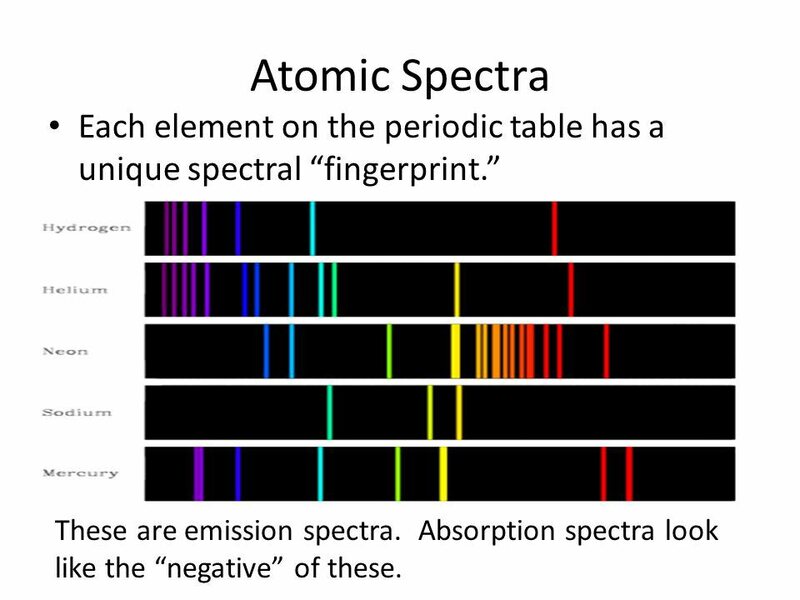 So it is really quite amazing how each and every element on the periodic table has a unique spectral “fingerprint” or unique emission spectra, making it "easy" for us to detect the composition of exoplanets light-years away. 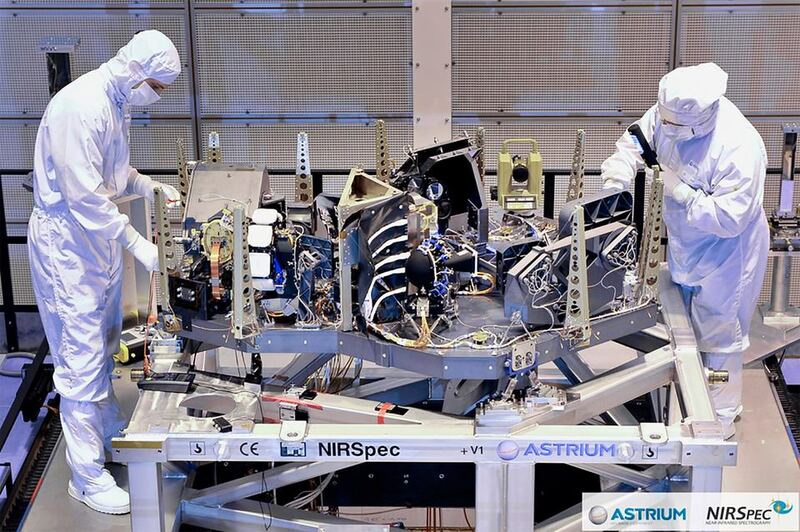 Here's a picture of the "NIRSpec" instrument, as part of several Spectroscopic Modes on the James Webb Space Telescope. One of the goals of the James Webb Space Telescope (JWST) project is to detect the composition of distant planet atmospheres. VIDEO: "Twenty years ago, the first exoplanet discovered around a sun-like star, 51 Pegasi b, made us question what we knew about our universe and launched the search for new worlds. This is the story of the pioneers in planet-hunting and how those who have followed are closer to answering one of humanity’s most ancient questions: Is there life elsewhere in the universe?" ✨ "Today astronomers believe there are planets around almost every star in the night sky. And that perhaps one in ten stars have Earth-sized planets that orbit in the zone where life could exist"
It will be so amazing to learn about all the different exoplanets as well as their atmospheric compositions! 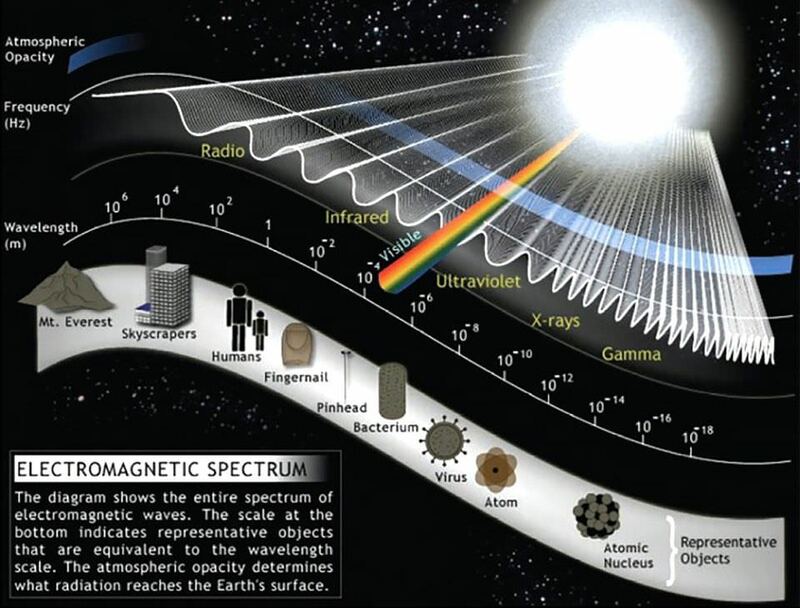 If you enjoyed these tidbits about Spectroscopy and Spectral lines let me know if you learned anything new in the comments and if you'd like to see more science-tidbit posts like this in the science category here on http://yours.org. See you next time! Great post! Does water also show up or will it show a combination of H and O fingerprints?